Ricky Williams, Earl Campbell, Vince Young, Tommy Nobis, Colt McCoy, Darrell Royal, Mack Brown, Freddie Steinmark, James Brown and James Street. Off the top of every Longhorn fans’ head, those are the 10 guys who would most likely be brought up as the biggest heroes of Texas football. Royal and Young are at the top of the list, for me at least, but those 10 guys are seen as almost folk heroes and are actually symbols of heroism to some. They made a movie about Steinmark. You may have seen it. 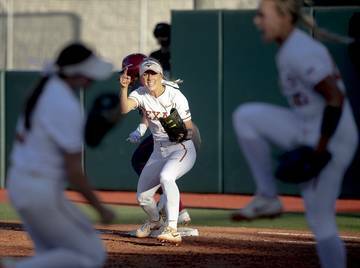 But for every “Roll left” and “Hello, record book” there are a handful of other notable Longhorns who are either forgotten by the casual Longhorn fan base, played on teams that didn’t accomplish much or were overshadowed by other teammates. We’ll call them unsung heroes of Texas football. Bill Bradley should probably be talked about more by every high school and college coach in America. One of the great high school quarterbacks in Texas in the 1960s, Bradley is one of the best athletes to come to Texas in the Darrell Royal era. He was a seventh round draft pick by the Detroit Tigers in baseball and turned down thousands of dollars to play at Texas. He was the starting quarterback and punter in 1966 and 1967 and helped Texas go 7-4 and 6-4 while playing through an injury. In 1968, his senior year, Texas introduced the wishbone offense and Bradley was having issues with the system. During the Texas Tech game, Bradley was pulled in favor of his friend, James Street. Instead of stewing, Bradley made the most of it. After trying wide receiver, he settled on defensive back during the season. Bradley set a Southwest Conference record with four interceptions in a single game during the destruction of Texas A&M later that season. That is also the single-game Longhorn record. The move to defensive back was the best thing that ever happened to Bradley in his football career. He played for the Philadelphia Eagles (who drafted him in the third round), Minnesota Vikings and St. Louis Cardinals (now the Arizona Cardinals) in his eight year career. He was a three-time Pro Bowler from 1971-1973, a two-time First Team All-Pro and an Eagles Hall of Famer. He had 34 career interceptions in the NFL. After his playing days he began a long coaching career that lasted from 1983 to 2014 with stops in Canada, several NFL teams and a three-year stint as Baylor’s defensive coordinator. He’s an unsung hero, though, because as captain of the 1968 team he could have sulked about being removed as the quarterback and damaged the team’s vibe. Instead, he became one of the team’s best defensive players by the end of the season. He also gets lost among the talk of great Longhorn NFL players even though he’s one of only a few players to named to multiple All-Pro teams during his career. It’s laughable to say Foreman was overshadowed by a teammate during his amazing junior season campaign, and you may be wondering if there’s a hint of recency bias with this selection. How could the best player on his team – essentially the only hero from the 2016 team – be an unsung hero? Because it won’t be too long until most Longhorn fans remember the 2016 for two things: The loss at Kansas and the firing of Charlie Strong after three seasons. In the moment, we reported more on Foreman’s 2,028 yard season – second most in Longhorn history – than anything else a single player did that season. 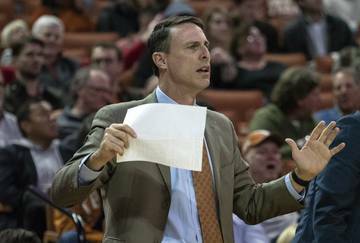 But most of the stories on the team surrounded the coach’s job at Texas. 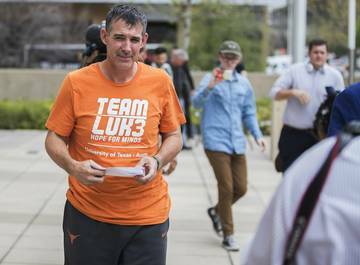 In fact, the final game of Foreman’s Longhorn career, when he was on the cusp of rushing for more than 2,000 yards, he was completely overshadowed by the fact that nothing that could happen inside DKR that Friday would stop a new coach from being hired. In fact, stadium workers were probably still picking up the garbage from Friday’s game when Texas introduced Tom Herman as the coach on (checks notes) the following Sunday. So we’re proactively putting Foreman on the list of unsung heroes of Texas history. Let’s not forget that Foreman, who played through a fractured wrist, went through things few others have ever gone through at Texas. Foreman’s infant son died during the season due to an intestinal infection. Despite the heartbreak, Foreman put up the second greatest single season for a running back in program history. Considering two of the top 10 rushers in NCAA history played for Texas (Williams and Cedric Benson) not to mention Earl Campbell, that’s saying something. 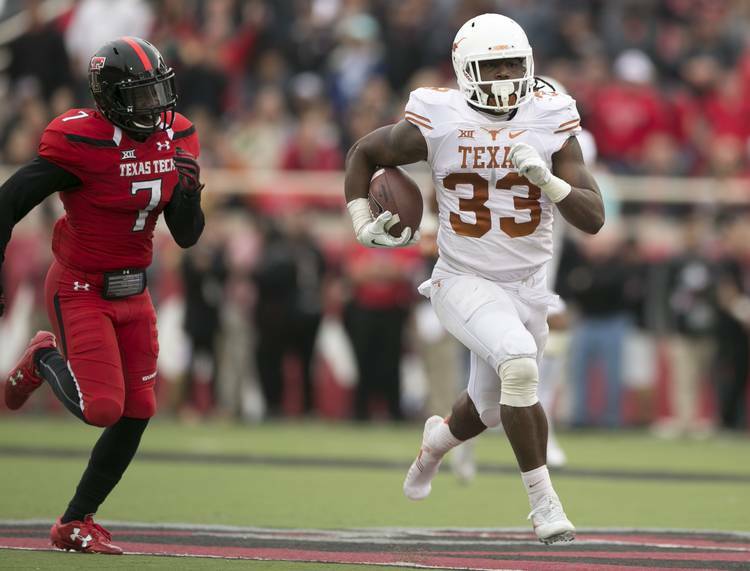 Without Foreman, Texas’ dismal 2016 season is perhaps the worst in 60 years for Texas. 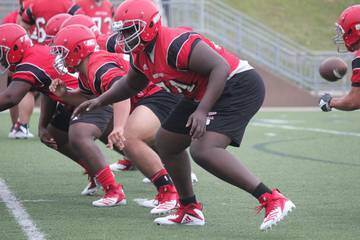 He won the Doak Walker Award and the Earl Campbell Tyler Rose Award in 2016. He deserved to be invited to New York for the Heisman ceremony, but finished eighth in the voting. He finished his career with 15 100-yard rushing games and broke Campbell’s record with 13-straight 100 yard rushing games. In 28 starts, he rushed for 2,782 yards, ninth most in program history, with 20 touchdowns. 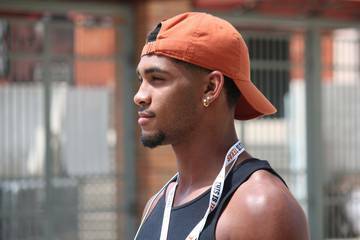 Had Jackson Jeffcoat played for the Longhorns four years before he did, he’d be remembered as one of the best defenders in Longhorn history. He’d be a unquestioned Longhorn legend. Instead, Jeffcoat’s freshman season was 2010, a year after the 2009 BCS Championship Game season and the beginning of the end of the Mack Brown era. That 2010 recruiting class was supposed to be one of the greatest class in Longhorn history. It was ranked No. 2 in the country with five 5-star recruits and 16 4-star recruits. It included Jordan Hicks and Mike Davis but the highest rated player was Jeffcoat, and he’s the only one who truly lived up to the hype in that class. Jeffcoat played right away, earning 2010 Freshman All-American honors. At the end of his career, Jeffcoat played in 40 games, starting 33 and became one of five Longhorn defensive ends to ever be named a consensus All-American. He won the Ted Hendricks Award the same 2013 season. The son of former Dallas Cowboy Jim Jeffcoat, Jackson is tied for second all-time with 60 career tackles for a loss. His 27.5 sacks at Texas is seventh most in program history. It’s easy to forget the standout players on teams that more or less are known more for never reaching their expectations. The 2010 team was ranked 5th in the preseason polls and was unranked by Oct. 30 and finished the season that way. The 2011 was ranked in several preseason polls, not the AP, but finished the season unranked. The 2012 team started at No. 15 and finished No. 19. The 2013 team, Brown and Jeffcoat’s final seasons, began as No. 15 in the country and finished unranked for the third time in four seasons. 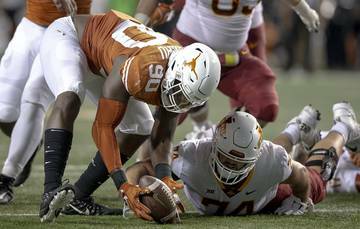 Team success shouldn’t block Jeffcoat from getting the respect he earned during his historical career at Texas were he is likely one of the 10 greatest defensive ends in program history. 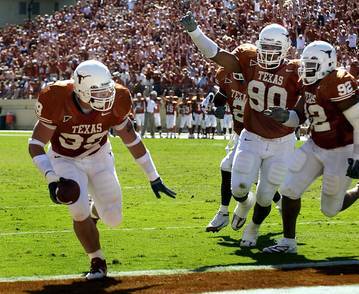 Speaking of great pass rushers, did you know that Kiki DeAyala is the all-time sack leader at Texas? DeAyala twice broke and set the all-time single season record for quarterback pressures with 47 in 1981 and 56 in 1982. He is the Longhorns’ all-time record holder in that department with 117. He had 22.5 sacks in 1982 and had 12 in 1981. The 22.5 sacks is not only a program record, but a record by 8.5 sacks. He holds the all-time sack record by one over Tim Campbell with 40.5 sacks from 1980-1982. Unlike Foreman and Jeffcoat, DeAyala was on winning Longhorn teams that won 26 games from 1980-1982, including a 10-1-1 season in 1981 that ended with Texas beating Alabama 14-12 in the Cotton Bowl and claiming the No. 2 spot on the AP poll. DeAyala was the only All-American on the 1982 team and was one of two All-SWC team selections. While DeAyala was the decorated player on the 1982 team, cornerback Jerry Gray is likely the considered the best player on that team. Mossy Cade isn’t far behind him. DeAyala wasn’t the leading tackler, Mark Lang was with four more tackles (120). Maybe it’s because DeAyala only has three years – he didn’t play his freshman season of 1979 – and maybe it’s because his professional career didn’t pan out like the two other great linebackers in Longhorn history, Tommy Nobis and Derrick Johnson, but DeAyala should be among them as his final two seasons at Texas are two of the best defensive seasons in program history. The entire 1983 team is an unsung hero. The 1983 team is one of two teams that have a strong case as the best non-Mack Brown, non-Darrell Royal squad in program history – 1977 is the other. But one godawful muffed punt at the end of the 1984 Cotton Bowl ruined their legacy. 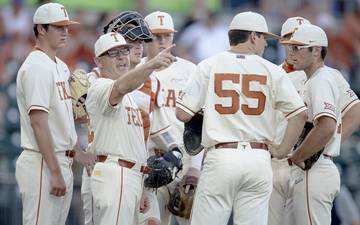 Few talk about the 1983 Longhorn team with the fondness of the 1977 team or even the 2008 and 2009 teams. But they should, because no Longhorn team that didn’t win the title has ever come closer to winning a title. What’s really the difference between the 11-1 1983 team that lost by one point in the Cotton Bowl and the 1970 national championship team that went 10-1 and lost its bowl game by 12 points? 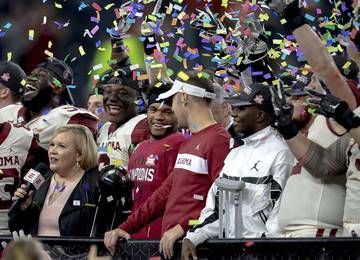 It’s the lost championship season in program history and people easily forget that this team beat Oklahoma by 12 points, Arkansas by 28 points and Texas A&M by 32 points. Games against SMU and Baylor were the closest ones they had all season. 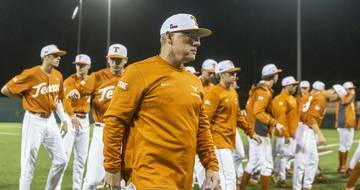 Its one of the few Longhorn teams that actually lived up to its lofty preseason rankings, starting the year at No. 3 and entering the bowl game at No. 2. The team featured Jerry Gray, Mossy Cade, Jeff Leiding and Mark Lang on defense. Fred Akers’ coaching performance was probably never better as Texas didn’t even have a running back rush for more than 500 yards, but had six players rush for more than 250 yards. The passing game wasn’t prolific either. This team rode a defense that allowed just 9.5 points per game, allowed just 95.8 rushing yards per game and gave up just 1,278 passing yards all season. They allowed – one of the best stats in Longhorn lore – just five rushing touchdowns and five passing touchdowns all season long. It’s time the 1983 team takes its place as one of the 10 best squads in Longhorn history.